What I'm attempting to accomplish is to wrap this functionality with an alias so I can just call grep and have a different GREP_COLORS value each time. I understand the consideration of multiple shells for each new piped grep and I'm trying to over come this by creating some files (one for each color), to indicate that they have already been used. Looks like as the shell goes through each pipe command, the previous function did not yet finish it's execution. It tries to remove files that don't exist any more. 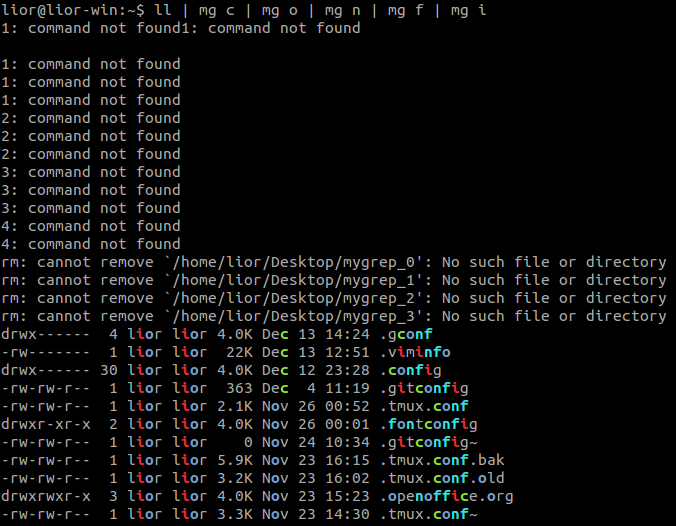 I'm not too sure where those other command not found errors are coming from. As you can see, I've put in some wait commands to try let the file manipulation complete but this doesn't seem to be working too well. Another thing I have already tried is to use shared memory /dev/shm but it yielded similar results. How would I go about getting the results I want? I am looking for answers that simply wrap the grep command as it has lots of functionality that I'm wanting to use and intend to insert other logic between the pipes, so I don't want to provide all of the search terms at once. 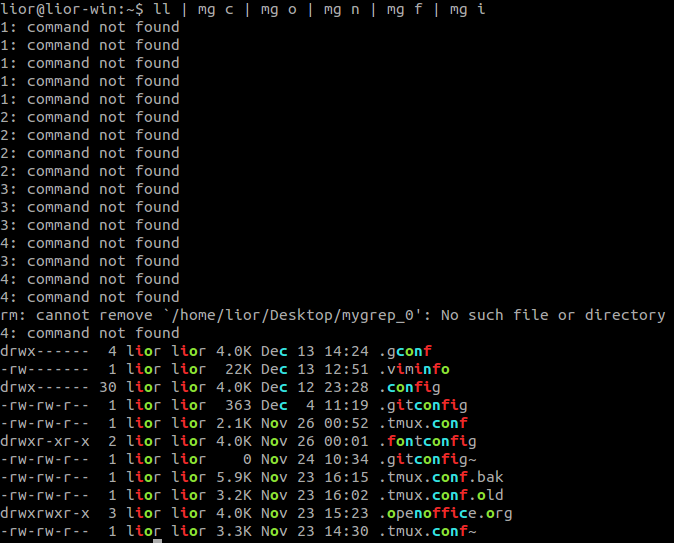 I'm also not looking for other "grep like" tools. Sorry to @terdon who has already posted an awesome perl suggestion. If you're good with regular expressions, You may want to check out grc and grcat. grc calls grcat. grcat uses configuration files where you can add regular expressions to match text to be displayed in each color. It also has a number of other options. It defaults to colorizing system log files. Depending on what you have in mind for your final script, you may be able to colorize your output with just one command. The trick is specifying the regexes correctly for each "field" in your data source. This will be a lot easier if your data is relatively uniform in structure. Last time I tried it, I didn't get too far, but I may have another go at it because I'm a bit better at regexes than I was then. There is also the tput command which can be used to send information (like color changes) directly to your terminal device. Both approaches are covered by the post below. 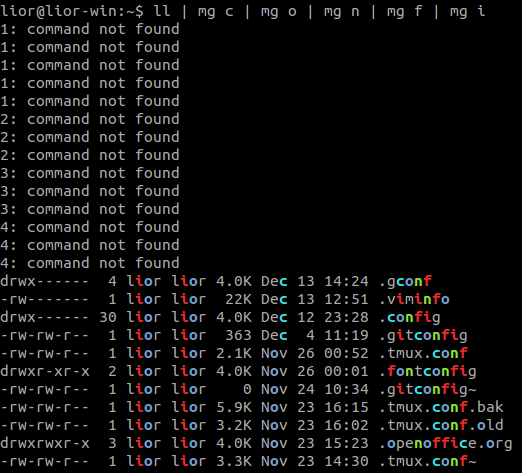 It talks about the find command, but it can be applied to the output of any command. Not the answer you're looking for? Browse other questions tagged bash shell grep pipe bashrc or ask your own question. Outputting PID of Rails server(s) with ps aux | grep - breaks when put into an alias?